The video for ''California, the new single from their latest album, The Savage Playground, has been released by CRASHDÏET. You can check out the clip below. 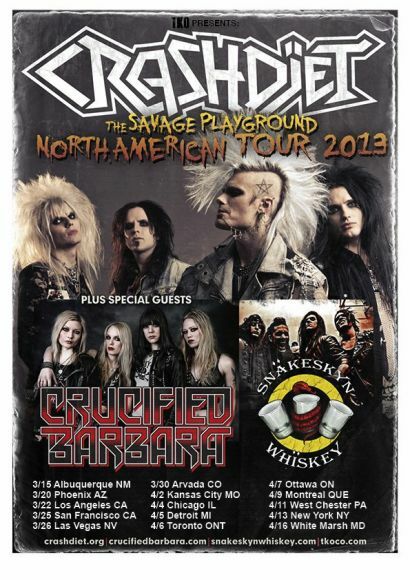 The band have also announced a string of headlining North American dates, kicking off on March 15th at Hooligans in Albuquerque, NM, with CRUCIFIED BARBARA and SNAKESKYN WHISKEY as support. The Savage Playground was released on January 25th in most of Europe and January 22nd in North America. 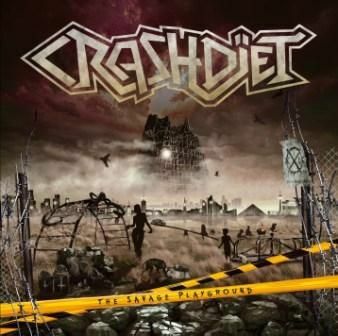 Guitarist Martin Sweet had this to say: “The Savage Playground is our playground, its the beginning and the end, its the place where we eat and breed. We thought the time was right for us to do a edgier and not so polished sounding album, kinda like what we sound like live. It's more organic and rough sounding. And of course we're always evolving as musicians and like to try new ways of expressing ourselves, and that can most definitely be heard this album”. You can order The Savage Playground in the KNAC.COM More Store HERE.